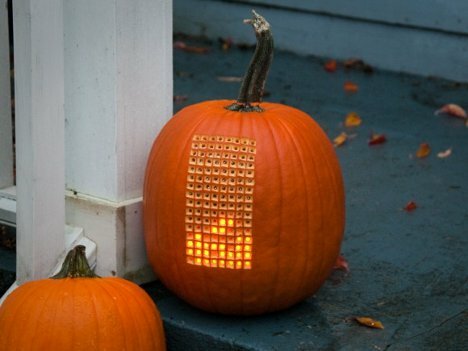 People do some pretty impressive things for Halloween, but this playable Tetris jack o’lantern is arguably the most impressive thing ever made out of an orange gourd. Nathan of HahaBird took his pumpkin from typical to totally rad with the use of some LEDs, an Arduino and some good old fashioned drilling and soldering. Of course, programming a working video game into a pumpkin isn’t as easy as cutting out a few triangles and calling it a face. The programmer had to do some serious planning, then relied on trial and error to get the project just how he wanted it. And it paid off – the finished product is called “Pumpktris” and it’s a real, playable game. 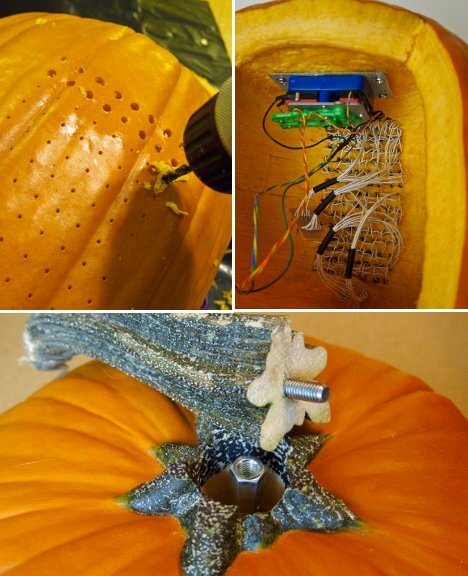 The stem of the pumpkin is actually a joystick that controls the game – a pretty novel addition, really. All told, the pumpkin’s creator spent about 12 hours working on this project, which we think is very reasonable given the level of awesome contained in this pumpkin. See more in Do It Yourself or under Technology. October, 2012.